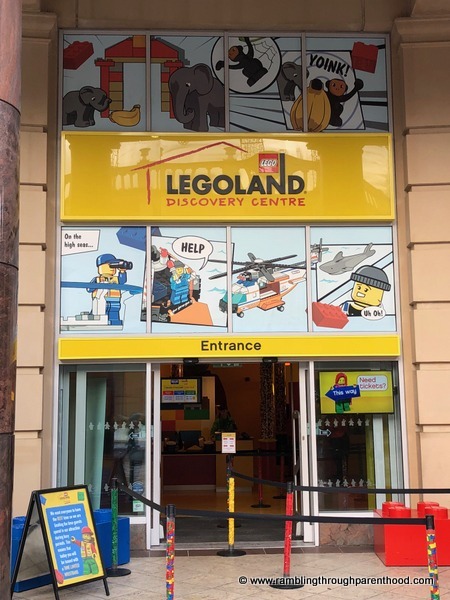 If you like Lego and are in or near Manchester, the Legoland Discovery Centre is a good place to visit. 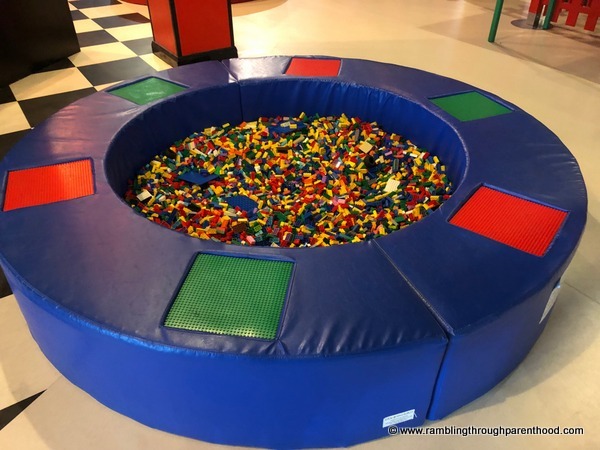 It is indoor, easily accessible and has plenty of free parking, making it a great rainy-day solution to keeping the kids entertained. 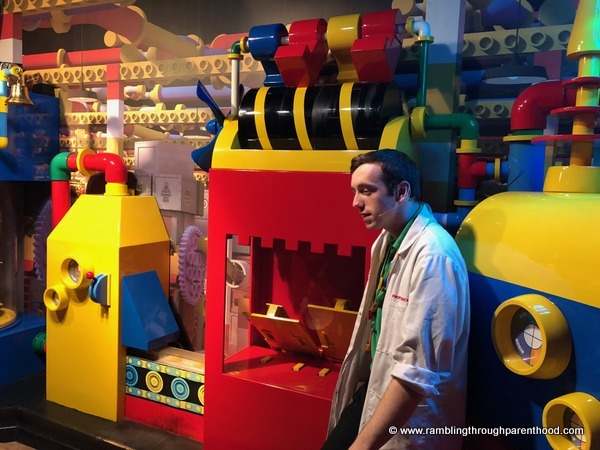 Here are things you need to know before you go to theLegoland Discovery Centre (LDC), Manchester. The LDC Manchester is an indoor activity centre located in the Barton Square area of the Trafford Centre. So you can plan a visit alongside a shopping expedition, if you so fancy. The LDC benefits from the ample free parking available for the Trafford Centre. No matter which car park you choose, a short walk through the Trafford Centre should bring you to the LDC. Alternatively, there are multiple bus routes that run to and from here. (Please check the Manchester traveline website for route options and to plan your journey). A shuttle bus connects the LDC and Trafford Centre to the nearest tram stop at Stretford. LDC is open most days (except Christmas Day) from 10am, with last entries allowed 1 hour before closing time. Your time in the Centre may be limited to a maximum of 4 hours during busy periods. This happened to us over the Christmas holidays, and I was left with a disgruntled 6 year old. I would strongly recommend checking the website beforehand to avoid disappointment. Tickets on the door can be expensive, so it is best to buy them online before the day of your planned visit. You can add an activity pack to your purchase for £4 a pack. Alternatively, you can use Family Days Out vouchers that are intermittently available on certain Kellogg’s promotional packs. Tesco clubcard points can also be exchanged for entry tokens. If you think you are likely to visit LDC more often, it is worth considering and upgrade to an annual pass. This also allows you entry to the SeaLife Centre located next door. Entry is free for Merlin pass holders. After being admitted in, the first thing you do is queue for the obligatory photo shoot. You sit on a bench and strike a couple of poses. You are given a token, which you can choose to view and purchase your photos at the end of the day. A lift then takes you up to the Lego Factory holding area, where you wait for the start of the next factory visit. The Lego Factory itself is located in two smallish rooms. Kids are encouraged to stand in the front, where they can ‘help’ with the brick-making process. Each child receives a souvenir Lego brick at the end of the demonstration. Once out of the Factory, you can then turn right to join the queue for the Kingdom Quest ride. This is where you go round in an open car on tracks, trying to shoot baddies with a laser gun in order to rescue the princess. You get another photo taken on this, which you can purchase as soon as you exit the ride. 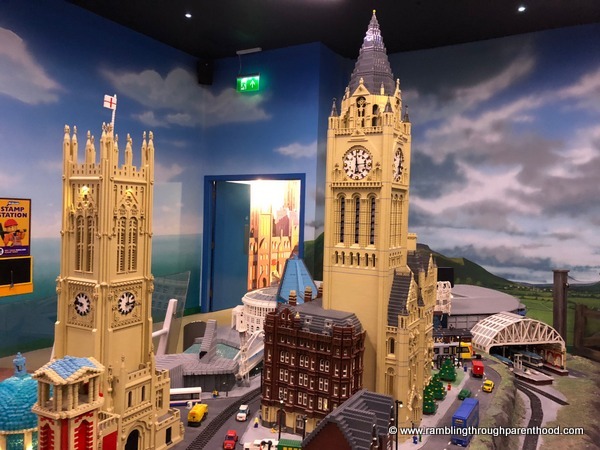 This is where you will find models of familiar North West landmarks recreated with Lego bricks. Light and sound effects add to this interactive experience as the landscape alternates between day and night. Watch the lift as it goes up and down the Blackpool Tower. Or check on the trains moving in and out of Manchester Piccadilly station. This new addition to LDC includes a Ninjago build table, climbing wall, soft play area and ninja training games. Read more about this area here. Don't forget to check out the embedded video! In addition to Kingdom Quest, there are two other rides inside the LDC. Merlin’s Apprentice is where you pedal furiously to rise up in the air. Adults can go on this ride if you so wish. 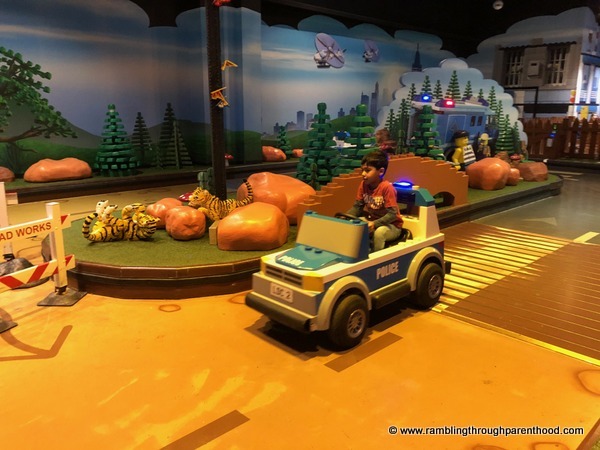 Lego City Forest Pursuit is for children only. 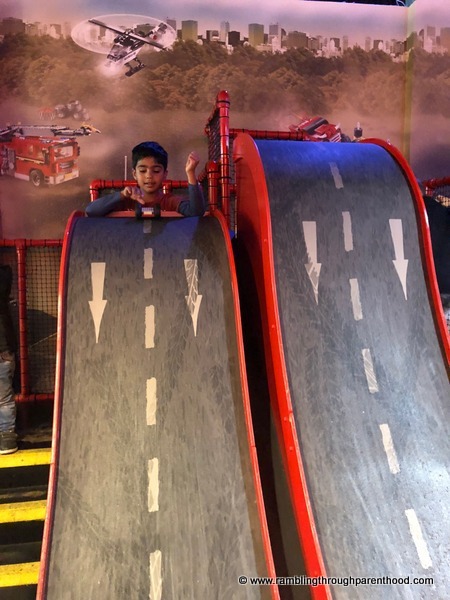 Height restrictions apply for both these rides. This is where you build and race cars. Choose from a variety of wheels and axles to make the fastest, most stable car. Then have fun racing it on one of the four available tracks. Test your building prowess on the earthquake table. This is where you construct buildings and test them against varying degrees of earthquake tremors. Make it taller so it crumbles on first impact or build a wider base so it withstands stronger quakes. Duplo bricks in this area make for easy building. Dotted all over the LDC, you will find Lego brick pits and brick boards, so you can build anything you like. This runs at different times throughout the day and spaces are available of a first-come-first-served basis. A new model is showcased every month. Everyone gets their own set of bricks. A Lego master builder leads the build and takes you through it one step at a time. Once complete, you have the option to take your model home for £4 or dismantle and leave it behind. You have been warned! This has a selection of Duplo bricks and a mini slide for little ones. 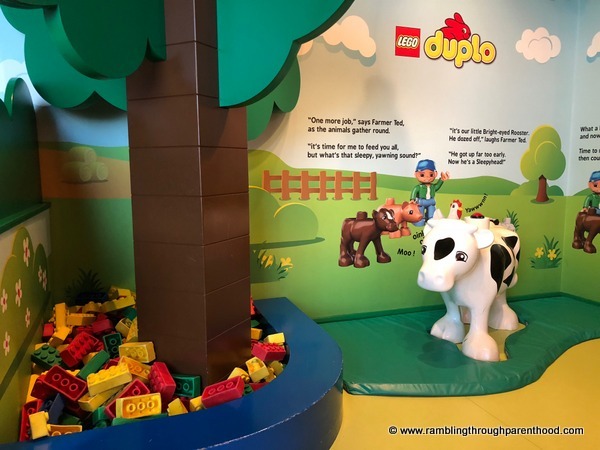 where you can relax and catch your breath if all the excitement of building with and chasing after Lego bricks gets a bit too much! There is a cafe serving a small selection of food and drink. We prefer to save money and time by take our own picnic. You come to this as you start walking towards the exit. This area tends to be quieter than the main section, presumably because you only come to it on your way out if this is your first visit to the LDC. where you check your flexibility and athleticism as you wriggle around trying to avoid touching laser beams. You will pass through these on your way out of the LDC. Buy as much or as little as you wish. 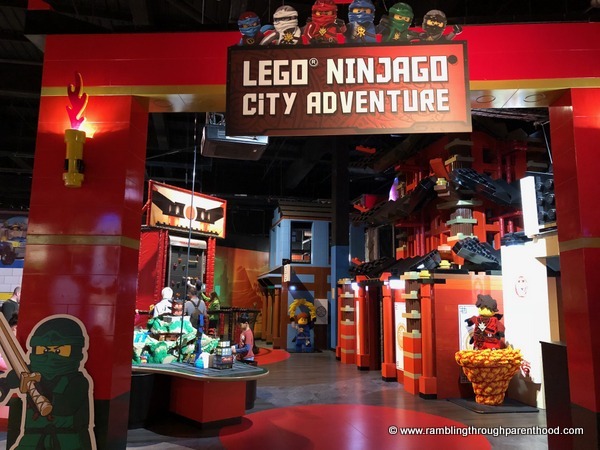 You do not, however, get any Lego Card reward points on purchases in the gift shop, as it is a Merlin attraction and not linked to the LEGO stores. I believe this is all you need to know when planning a visit to The Legoland Discovery Centre in Manchester. It is small, and can be incredibly busy at times. But using the money-saving tricks and quieter options I have mentioned, you can make the most of it. Have you visited the LDC? Do share your tips and tricks in the comments below.